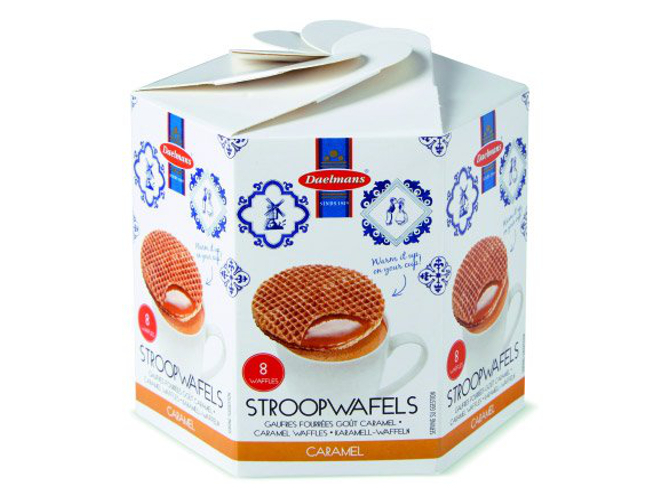 Our unique Delft Blue hexa box is filled with 8 delicious stroopwafels. 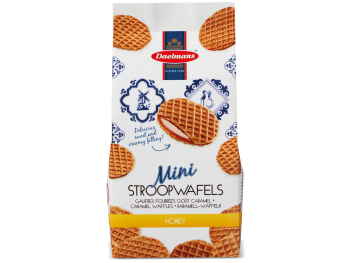 Our stroopwafels have a diameter of 8 cm, are filled with a creamy and buttery syrup filling, enriched with natural Bourbon vanilla. They are even better when you warm them up before you eat them. 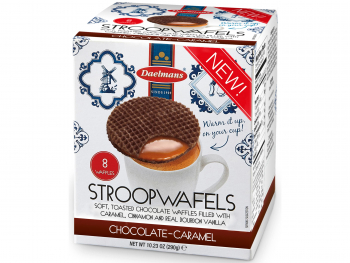 Just pop them on top of a hot cup of coffee or tea! 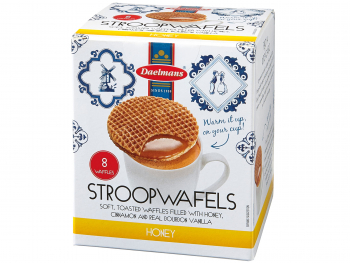 This box contains 8 stroopwafels. This Delft blue hexa box is also available with honey stroopwafels and with chocolate stroopwafels. Our unique Delft Blue hexa box is a great gift for yourself and for others. 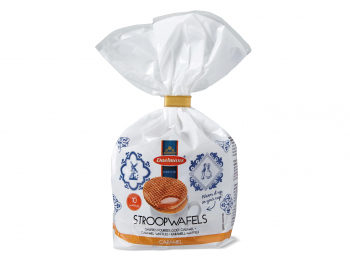 These stroopwafels are also available in a bulk case of 9 boxes, which you can select in the “Choose packaging” dropdown.